DSD file created by Gus Skinas from the original DSD audio used to create the existing domestic U.S. SACD. For Gaucho, Fagen, Becker and their long-time producer Gary Katz employed their usual all-star lineup of musicians, among them singers Patti Austin, Michael McDonald and Valerie Simpson; guitarists Mark Knopfler, Larry Carlton, Rick Derringer and Steve Khan; horn players Michael and Randy Brecker, David Sanborn and Tom Scott; pianist Joe Sample, and drummers Steve Gadd, Rick Marotta, Jeff Porcaro and Bernard “Pretty” Purdie. The result was a pop-jazz album worthy of its illustrious predecessor, Aja. Customer Reviews (4.43 Stars) 7 person(s) rated this product. Too much compression. 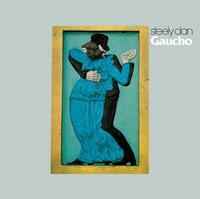 Bass is weak and tight bass is a trademark of Steely Dan, midrange okay, highs sound a bit rolled off. This is one of those albums that I have purchased a few times in different/improved formats over the years. This is hands down better than the Ultradisc version, in my opinion. Better definition and soundstage plus a crispness and punch to the bass and kick drum really stand out to me. "My Rival" has become my new favorite on this album due to the presence of the instruments and vocals; love the organ on this track. From what I'm listening on, the noise floor is way higher on this than on the remastered CD and the bass is more vague and mid heavy as compared to the ridiculously tight and crisp sounding bass on the CD. It may have more resolution, but I like the CD better. I am using my iPhone as a pre-amp and it does a pretty good job. The interface is the Hibiki player, which is fine for a novice. Always loved the sound of this album, but the DSD download sounds incredibly smooth. Everything about the recording is clear as a bell and more relaxed sounding than the CD (remastered 1999 version), though that version didn't sound bad bad at all. Just a different and more pleasing presentation with the DSD download. Listen to "Glamour Profession" and you'll notice how dimensional the background vocals and synths are now. Very pleased with this purchase.